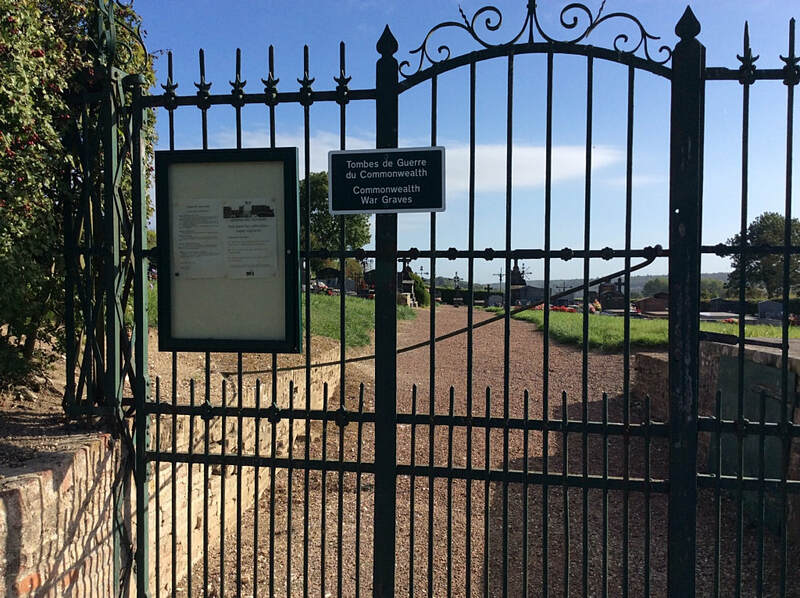 Dromesnil is a small village in the Somme department in Hauts-de-France in northern France. 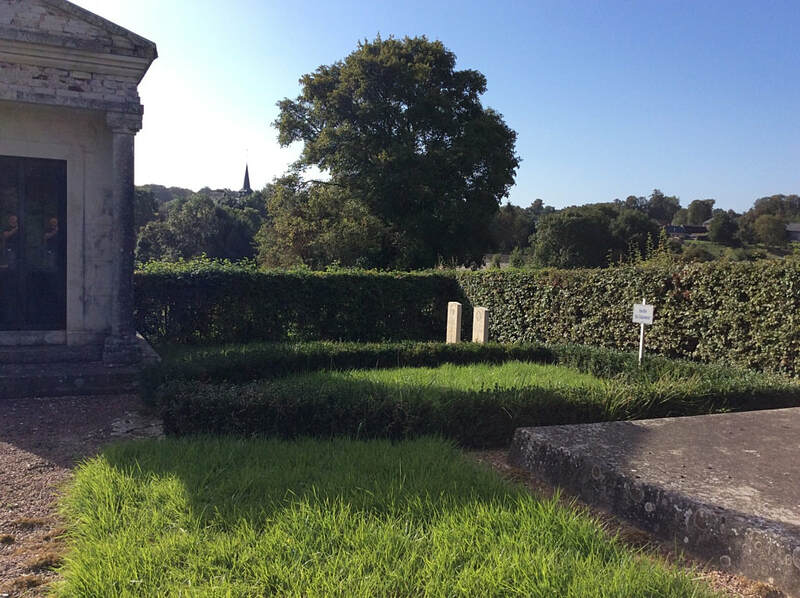 The Communal Cemetery is located on a small road North of the village. 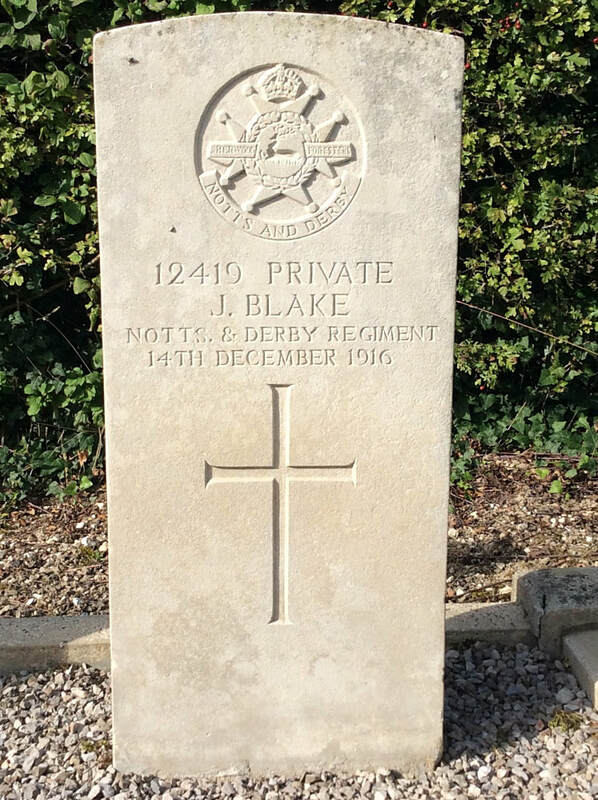 12419 Private Joseph Blake, Sherwood Foresters (Notts and Derby Regiment), died 14th December 1916, aged 37. 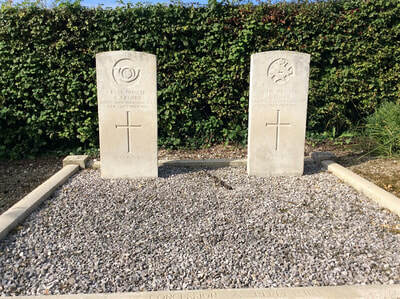 Son of Dennis and Bridget Blake, of 50, Soresby St., Chesterfield. 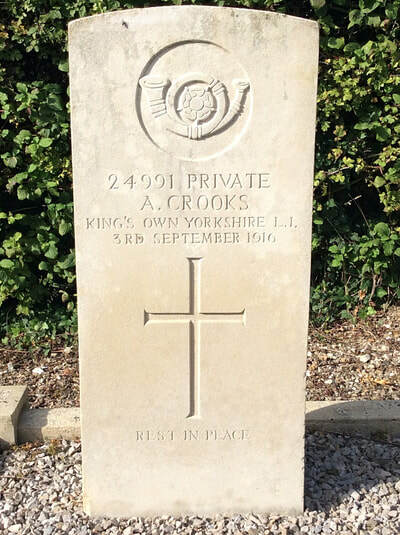 24991 Private A. Crooks, 6th Bn. 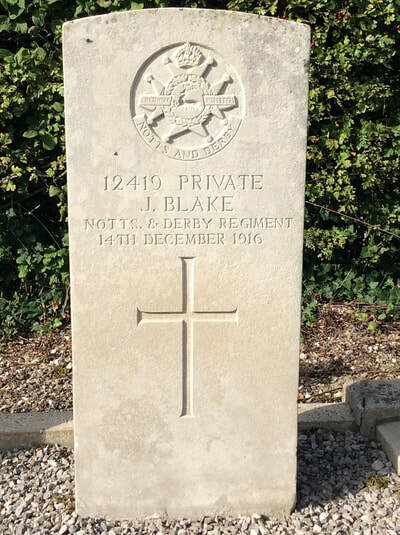 King's Own Yorkshire Light Infantry, died 3rd September 1916, aged 31. Son of William Atkin Crooks and Hannah Crooks, of Crossings Green Lane, Featherstone, Yorks.